Wheelabrator has launched a lighter, entry-level version of its established heavy-duty DT rocker barrel tumblast concept. The new DT-11-350 was designed specifically for the needs of smaller foundries, producing smaller castings in smaller runs – in response to demand from China, Eastern Europe, North America and India. For foundries looking to upgrade to the new DISAMATIC C3 vertical moulding machine, the new DT offers an affordable continuous wheel blast solution to match. The DT-11-350 is best suited to light to medium forge and foundry applications, desanding, decoring, cleaning, deburring or descaling workpieces with a maximum weight of 30kg and a maximum diagonal of 400mm. The fully integrated shot blast system is designed for a throughput of up to 5t per hour. As standard, it comes fully equipped with an advanced yet reliable abrasive recycling system and vibratory conveyors at inlet and outlet. Noise protection cabinets at both ends of the machine and an abrasive replenisher are available as options. 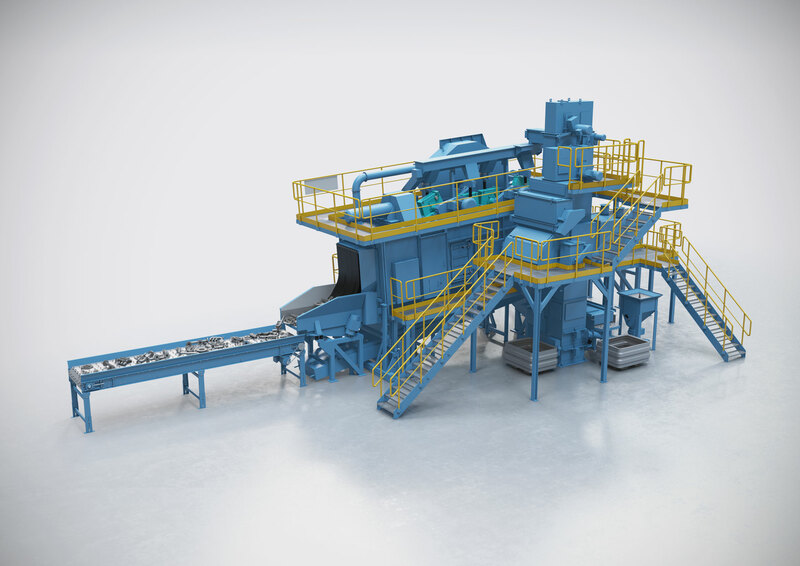 The DT concept with its polygonal trough is highly flexible, allowing the efficient continuous blast treatment of parts in many different shapes and sizes, in mixed or single product runs. It offers high process reliability and can be easily integrated in existing production processes and workflows. The DT specifically designed for the needs of smaller foundries, producing smaller castings in smaller runs.